"Near sea (around 70m), very friendly staff." Have a question for Sokcho Esher Pension House? 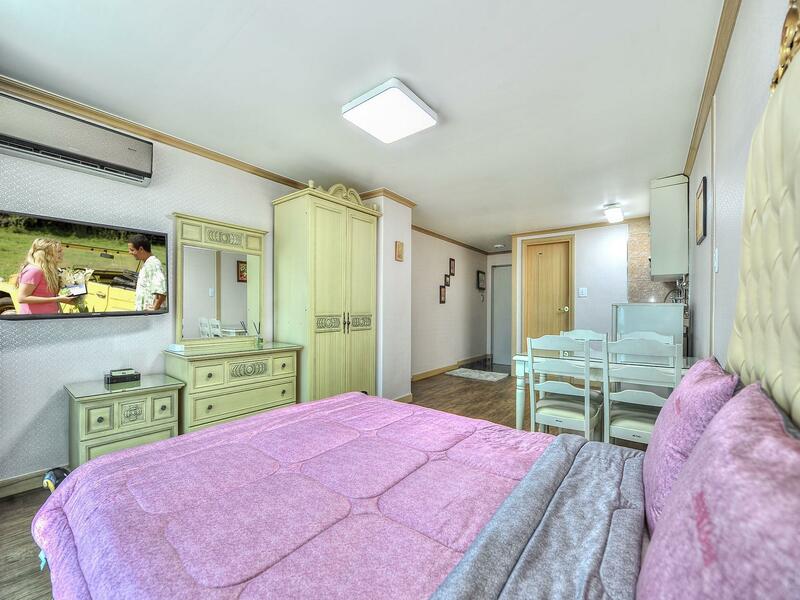 If what you're looking for is a conveniently located hotel in Sokcho-si, look no further than Sokcho Esher Pension House. Only away, this 1.5-star hotel can be easily accessed from the airport. 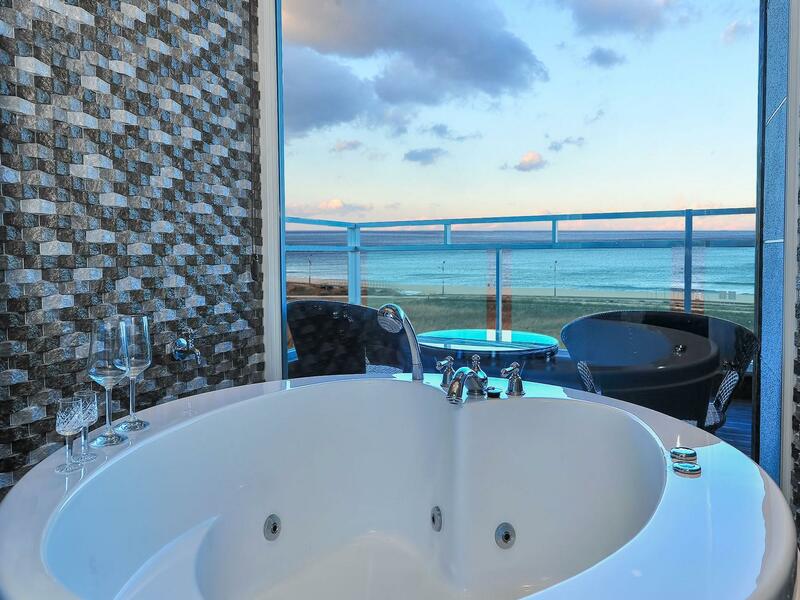 For sightseeing options and local attractions, one need not look far as the hotel enjoys close proximity to Daepo Port, Daepohang Port, Seorak Sunrise Park. At Sokcho Esher Pension House, every effort is made to make guests feel comfortable. To do so, the hotel provides the best in services and amenities. To name a few of the hotel's facilities, there are free Wi-Fi in all rooms, express check-in/check-out, luggage storage, Wi-Fi in public areas, car park. In addition, all guestrooms feature a variety of comforts. Many rooms even provide television LCD/plasma screen, internet access – wireless, internet access – wireless (complimentary), whirlpool bathtub, air conditioning to please the most discerning guest. Besides, the hotel's host of recreational offerings ensures you have plenty to do during your stay. 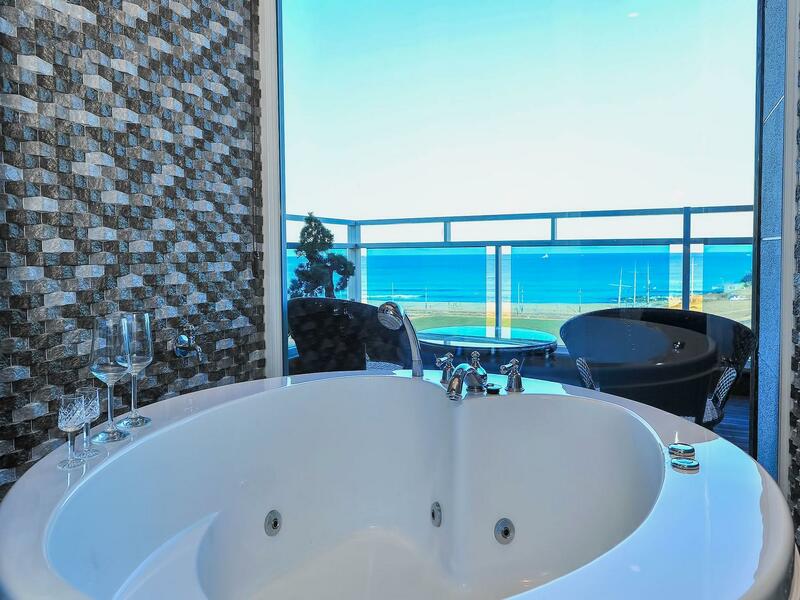 Enjoy unparalleled services and a truly prestigious address at the Sokcho Esher Pension House. "We were happy with this Pension House (self-contained accomm..."
Near sea (around 70m), very friendly staff. Cozy and large appartment. Close to city bus station (around 1,2 km), close to bus stop to Seoraksan (700 m). Autumn colours in the Seorak Mountains and seafood by the sea-side was what drew us to Sokcho. If we got reasonable accommodation, that was an added bonus, as we did not intend to stay in the accommodation for longer than necessary as we wanted to leave early in the morning to go hiking and stay out for shopping and dinners. We were happy with this Pension House (self-contained accommodation) as it was safe, clean and warm. Had we wanted more than this, we would have stayed at a 5-star hotel. Tips include any of the Dae-Po seafood restaurants (walking distance), all competitively priced and equally delicious with the seafood spicy hotpot at the end, plus soju. One challenge we had was the local taxi company understanding our accent when trying to pronounce, maybe try saying Eh-shyer-ro Ho-tel (or get the concierge to book for you). We stayed in this hotel for two days and one night during our Sockcho trip. Hotel is 5 mins walk from the (외옹치해변) beach, which is the last end of Sokcho beach. The main sokcho beach is quite far (30 mins by walk). The hotel is clean and good, we found two brothers with their family staying on the top floor, who works as a staff and can speak English (Important in S. Korea). However, on a rainy day, we reached the hotel at 12 pm with young kid, the staff didn't allowed us to check-in until 2.30 pm. Therefore, we have no choice then to spend some time in E-mart, 10 mins by car. Rooms are clean with kitchen and limited cooking facility equipment. The bathrooms are clean and nice view of sea beach from terrace (unfortunately no chairs there). BBQ facility available on the first floor with sea view, however have to pay 10,000 won (~ 10 USD) extra. Lots of good hotels are around, I think bit cheaper than this one. Overall satisfied with our stay, will think to stay again if cheaper in future. My family and I including 5 adults and 2 young kids stayed in 2 family rooms, all of us were very happy with the stay. The owner is extremely accommodating, we really felt like stay at home. We would recommend Sokcho Esher Pension House to anyone who is looking for a friendly, relaxing and well-equipped home stay. Our family of four (two adults and two toddlers, ages 4 and 3) stayed one night at the Esher Pension House. This was our first trip to the beach in Korea and first real family vacation! We were blown away by the hospitality and friendly staff. Hana and her sister were nothing short of amazing and when we left, we were only scheming up ways to go back very soon! The pension was very clean, spacious, and quiet. The close proximity to the beach (a very short walk) was perfect for frequent trips to play in the sand or take a walk. Outside toilets and showers helped us keep our room sand-free as well. The breakfast was better than any breakfast any American hotel offers. I would recommend Esher Pension to anyone in Korea looking for a great place to stay while at the beach. Thank you for such a great experience! We had an amazing 3 night stay. The staff was amazing. We were served traditional Korean food for breakfast and when we mentioned some of our favorite dishes they prepared them for us the next morning. 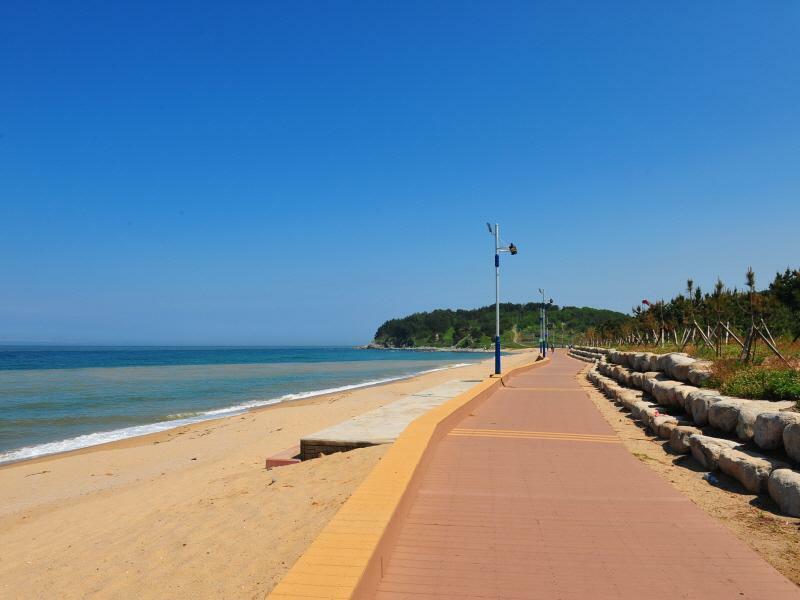 the location is great, July feet away from the beach, about 15 minutes drive to Seoraksan National Park. Everything was great. However, some of the beds had bed bugs. The staff were nice and did try their best to meet every needs. From the moment I made the booking, the owner started sending text messages indicating location and other useful information. It was really useful. The sisters who own the hotel are really nice. The only downside during the stay was a concert that local enthusiasts organized at the beach during the night. However, inside the room it was possible to sleep using the AC. Great and relaxing stay! The price is somewhat high during the summer period, but most of the hotels in the area are costly. Not near to town. Need to take taxi to Abai Village. Seem like less bus services passby that area. End up we need to walk for quite a distance(around 15-20min) to the main road for bus to seoraksan. Within walking distance to beach. Clean room and we love the breakfast so much. The owners are friendly and helpful. Helpful staff, good location, big clean apartment. Excellent. The room was big and clean, the in-room kitchen was very handy, good location to Seoraksan National park and Abai Village, staff was VERY helpful and spoke solid English, WiFi worked well, good water pressure in the shower, etc. Room condition and location were good but the staffs were not friendly for kids. They give special treatment to foreigner than Korean family. I don't recommend this hotel who have little kid! Its really worth for money. Will definitely return to stay. My experience at Esher pension was outstanding. It is run by two sisters who are the salt of the earth. They went above and beyond to make our stay as comfortable as possible - lending us their bikes, calling taxis, calling restaurants, giving us a map with directions to where we wanted to go, a great breakfast and even ordered our late night pizzas to our room (we could not speak Korean). The pension is clean, it's close to the beach but more of a secluded area. There is a BBQ area with a weber etc. Overall, I would give this place 5/5. Would definitely recommend it and I would go back. Close to beach, close to Daepo harbor, and Hana helped us with anything we asked. Great place to stay! I really love the day when i stayed there. The owner is so friendly and attentive and the room is so lovely. It has a big screen projector and a nice jacuzzi bathtub.